Lufthansa Group Buys Aircraft Worth to USD 2.5 Billion. 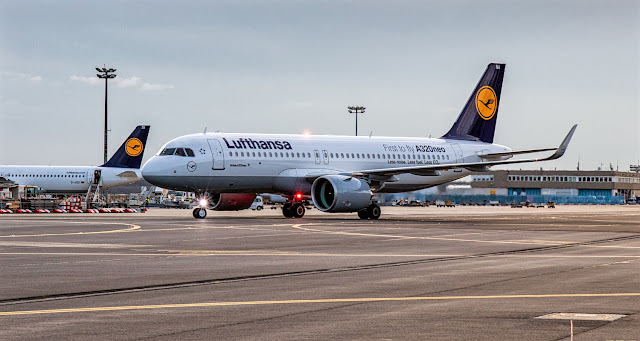 The Lufthansa Group will order up to 16 Airbus and Boeing aircraft in an agreement valued at USD 2.5 billion at list prices. The orders include up to 12 aircraft of the Airbus A320 family for Lufthansa Group carriers, two Boeing 777-300ER for Swiss Airlines and two 777 Freighters for Lufthansa Cargo, says the Frankfurt-based company. The board of the Lufthansa Group approved the deals today. The A320 family order is divided between up to six A320s that will be delivered "based on availability" this year to compensate for delays in the A320neo and the conversion of six A320neo options to firm orders with deliveries in 2022. Swiss Airlines will take the 777-300ER in 2020 and use them to grow. While, Lufthansa Cargo will use the 777F to replace the old Boeing MD-11. The Lufthansa Group carriers operate 350 aircraft of the A320 family and 10 aircraft of the A320neo family, 10 777-300ERs and five 777Fs. Excluding the last agreement, they have firm orders for 61 A320neos, 45 A321neos and 20 777-9Xs. Lufthansa known as one of the largest carrier in the world. They have been running in the business for decades and still playing on top level, in terms of financial performance and corporate actions.